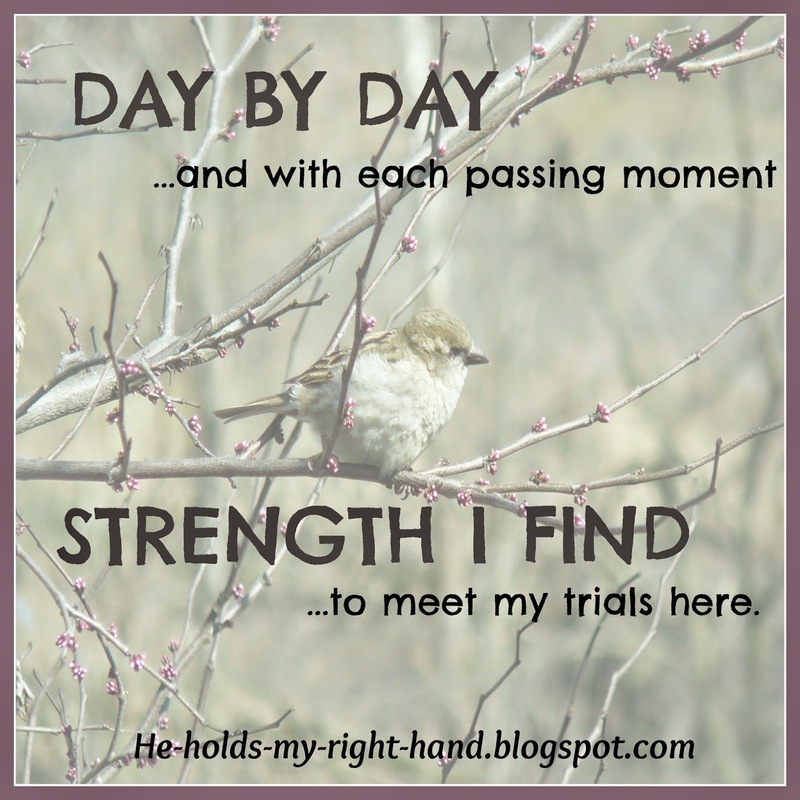 He Holds My Right Hand: HYMN: Day By Day / Does God Give Us More Than We Can Handle? HYMN: Day By Day / Does God Give Us More Than We Can Handle? 2 Corinthians 12:9 - And He said to me, “My grace is sufficient for you, for My strength is made perfect in weakness.” Therefore most gladly I will rather boast in my infirmities, that the power of Christ may rest upon me. He whose name is Counsellor and Pow'r. Wonderful song. Thanks for posting.